Take a look round any train carriage, or indeed any social situation, and you’ll see how hard it is for people to put their mobile phones down. But this fear of missing out on a text, or even of misinterpreting what someone has texted, is ramping up stress levels and affecting people’s sleep. Researchers from Washington and Lee University tested the effects of night-time testing on college students, the majority of whom would keep their phones beside their bed, or even under their pillows, so they could respond to texts during the night. They asked study participants to keep a sleep diary, and assessed results according to the Pittsburgh Sleep Quality Index, which measures the amount of sleep, the number of disturbances, and how long it takes to fall asleep. 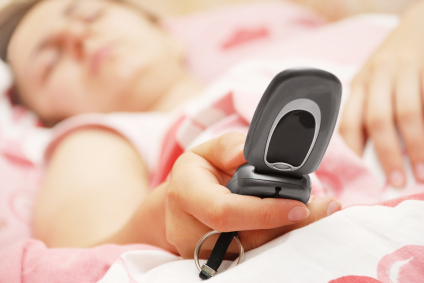 The Telegraph reports the study findings: the more texts a person sends, the worse the quality of sleep. Young people also become more stressed around their friendships, as the meaning of text messages can sometimes be misconstrued. The moral of the story is not to carry out any conflict or arguments via text, but to take it face-to-face instead. And not to take your mobile phone to bed.